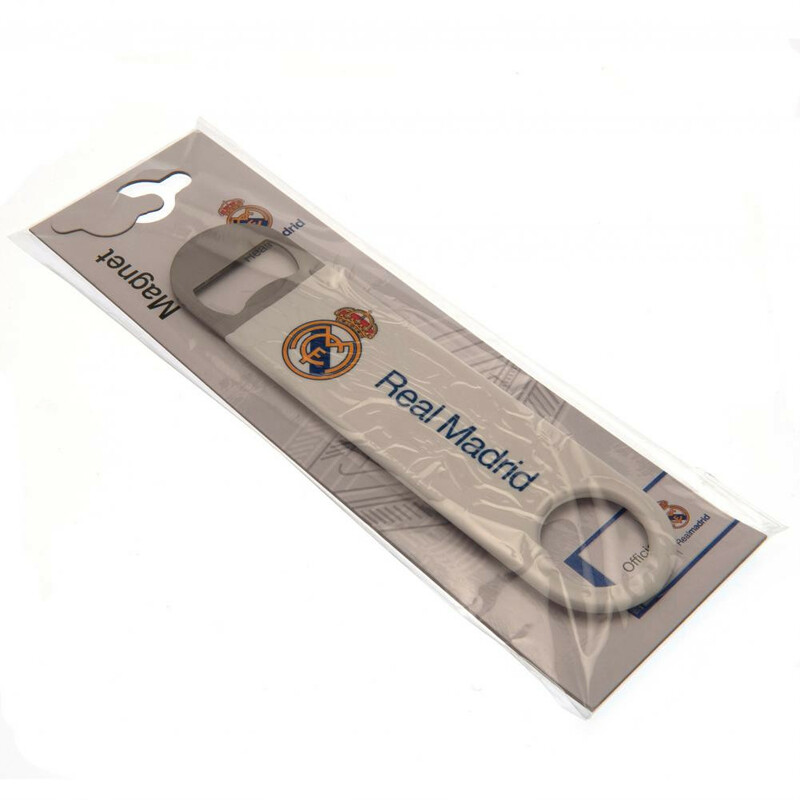 Official bottle opener for fans of Real Madrid. 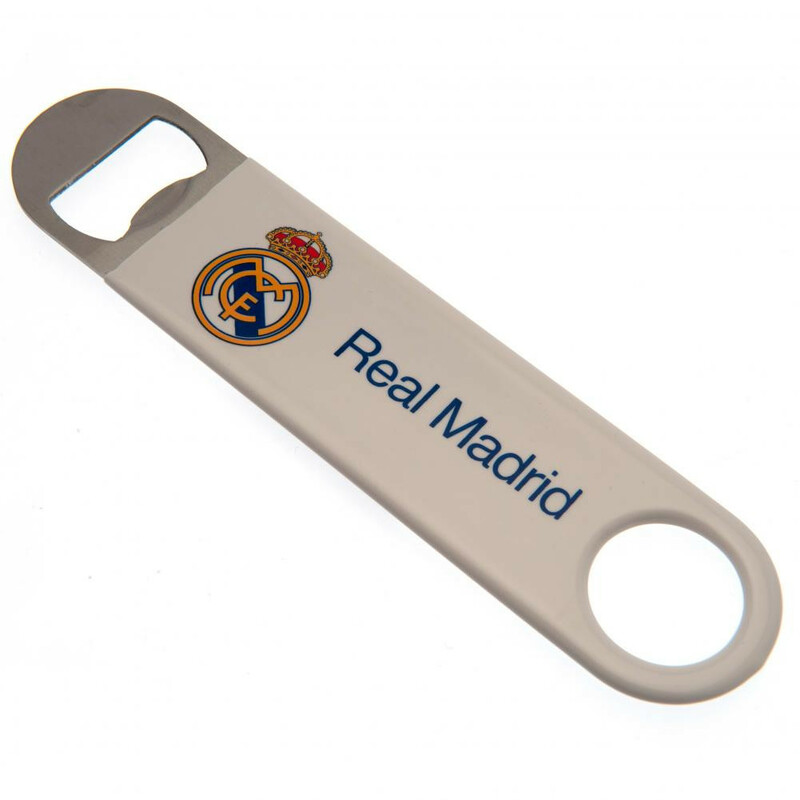 A functional gadget for every fan. The opener is equipped with a fridge magnet. 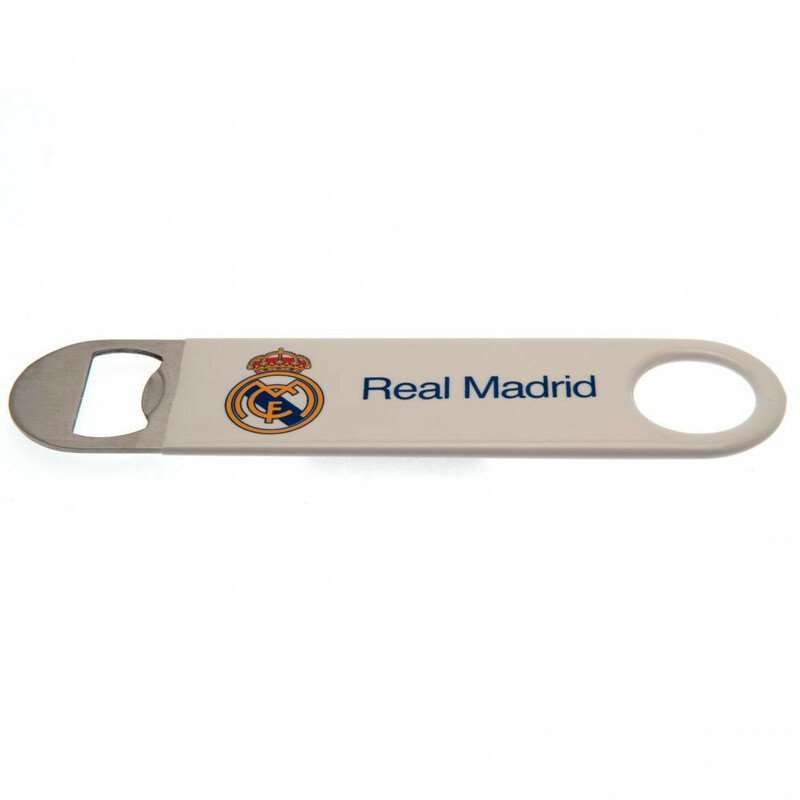 Made of stainless steel, with visible club details.